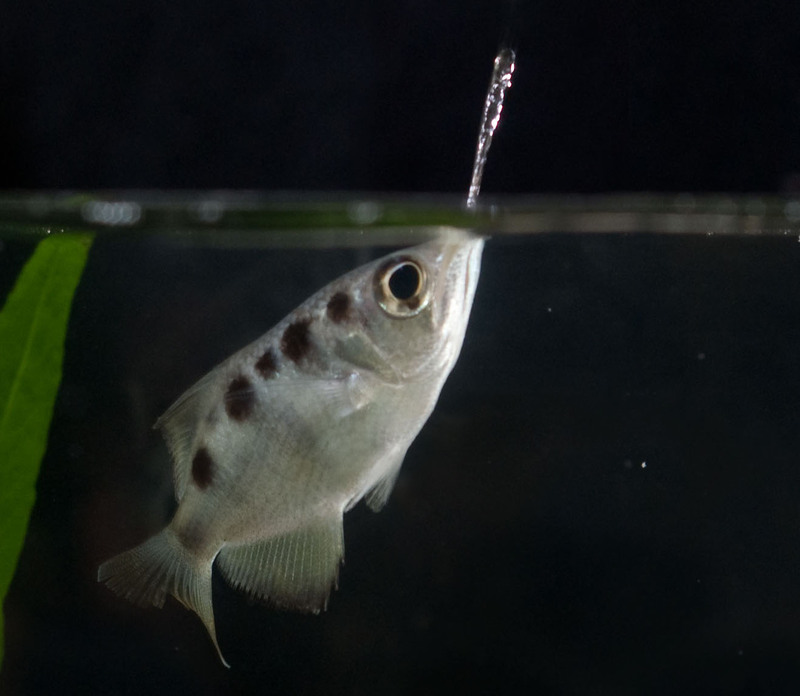 This is another critter I learned about by reading “Mark Trail” in the Sunday color comics: the archer fish. Is this fish cool, or what? It reminds me of a scene in Mr. Peabody and the Mermaid, in which the mermaid chastises snide comments by spouting a hard stream of water into the commenter’s eye. “That hit me like a blowtorch!” he cries. Now he knows how the archer fish’s prey feels. This entry was posted on Tuesday, August 21st, 2018 at 10:27 am	and tagged with archer fish, God's stuff, Mark Trail color comics, Mr. Peabody and the Mermaid and posted in nature, Video. You can follow any responses to this entry through the RSS 2.0 feed.